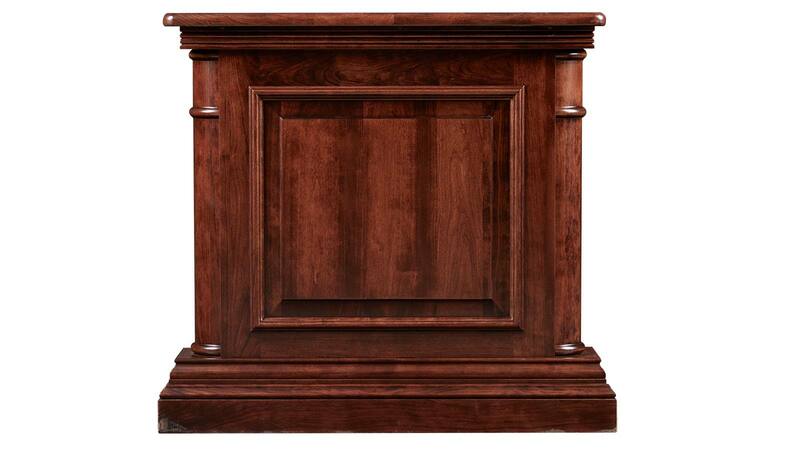 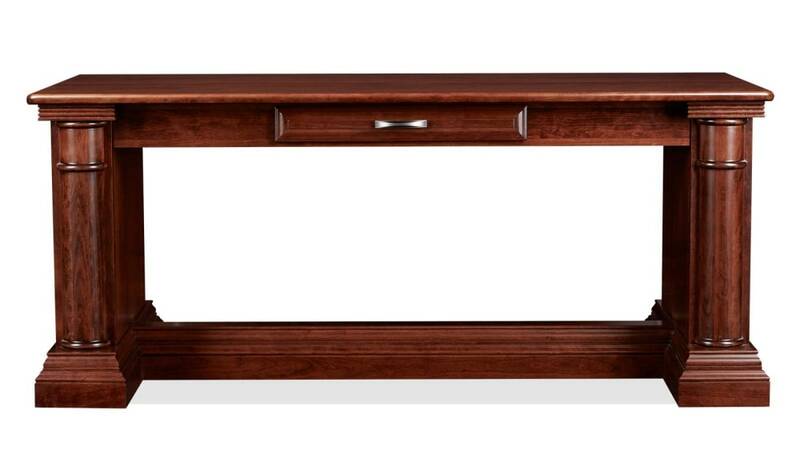 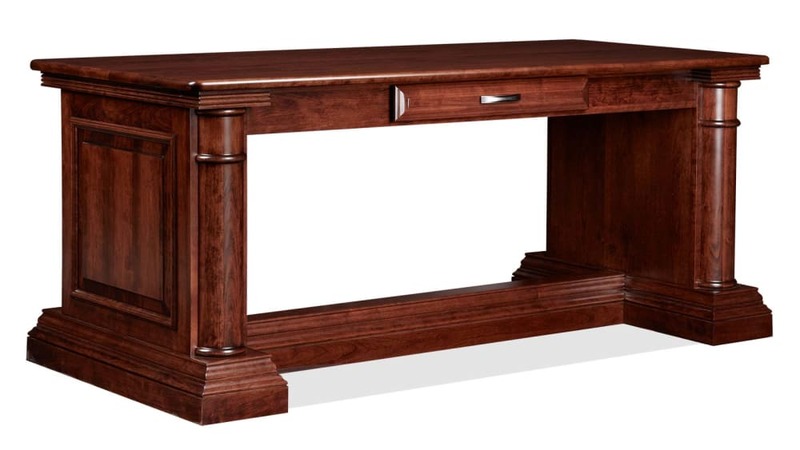 This solid cherry wood library desk is Made in America by Master American Craftsmen. 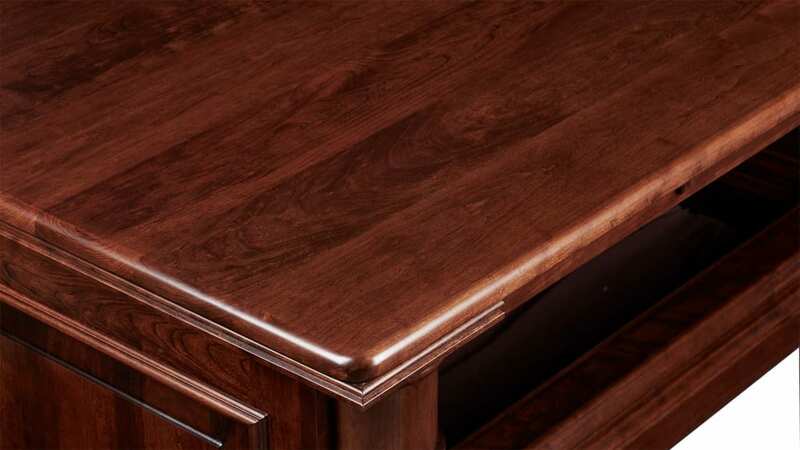 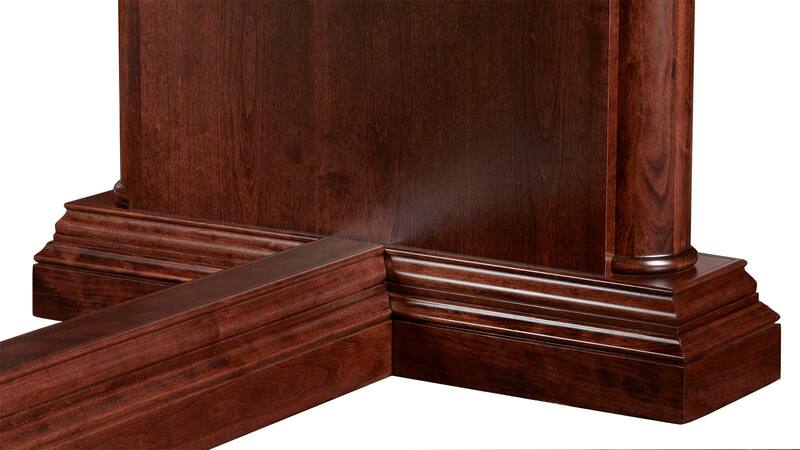 The asbury stain showcases the natural beauty of the wood grain to perfection. 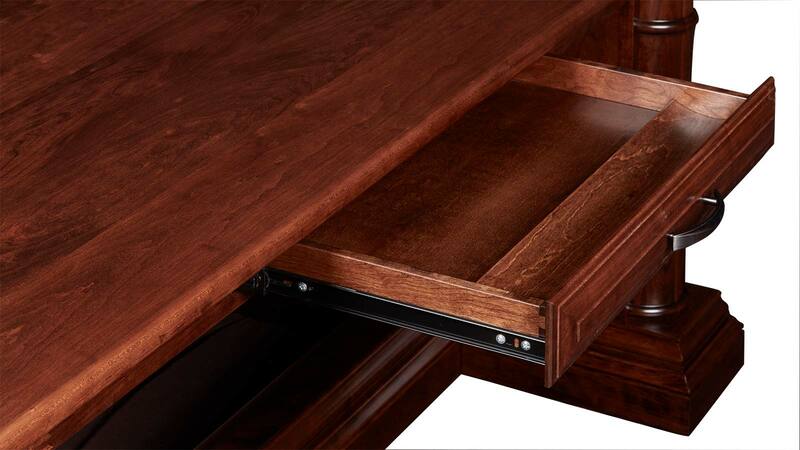 One drawer on high quality full extension slides with a satin pewter handle and removable solid wood tray within.